In this article i will explain how to reset or change the password of Cisco 800 series router with the console cable. If you forget the Cisco router password then you cant able to load the configuration at startup, but you can reset the password because it is stored in the NVRAM of the router. Once the changes are made, we ask the Router to load it in each boot, staying as in the beginning but with the passwords that we have chosen. This is the emergency recovery mode and has several utilities; among them the one of making a recovery of the Passwords . The router then restarts normally but without loading the configuration. You let it finish and it will stop at some point to ask you if you want to create a basic configuration with the Auto-Setup. Tell everyone that they DO NOT or press [Control] + C directly until you stay in the Router's console. Once this is done, you are inside the privileged mode of the router with the configuration it brought, but we have not finished yet, you have to change the passwords, correctly reconfigure the registry and save the changes so that they are not deleted when the router is turned off. 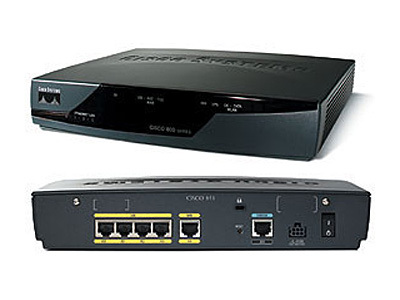 We look at the values ​​that are running on the router, and the passwords. Once this is done, we enter configuration mode to make the aforementioned changes. Once we done, we change the config register to it default value so that router can be boot to normal startup on reboot. With this, we have indicated to the router that we want the next time it is restarted, load the configuration that it brought with the changes that we have made. In order to finish do not forget to save the configuration of the router so that all the changes remain saved and they are applied every time you restart the router.